If you’ve been following my blog, you would know by now that I work a regular 9-to-5 and take advantage of long weekends to travel. That said, I don’t always have the luxury of time to thoroughly explore each and every destination. As much as I hate travelling like this, there’s just so much out there to see and so little time that oh what the heck! I’ll take what I can! 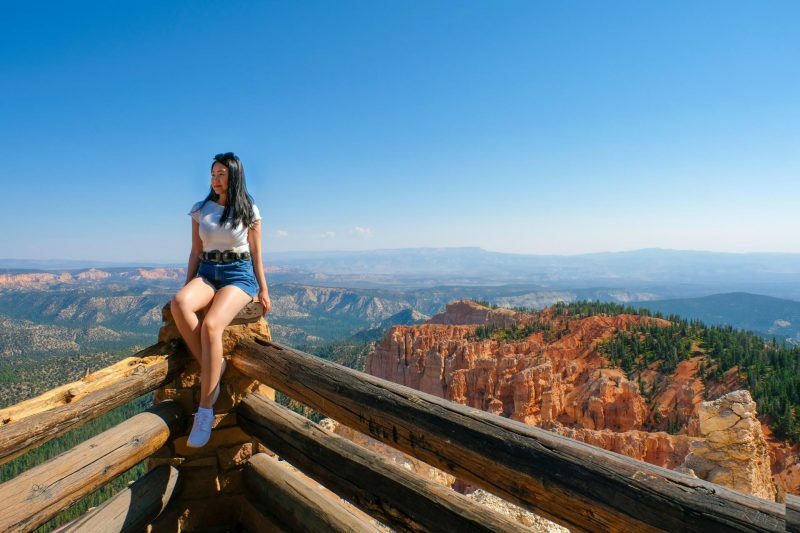 In this guide, you can expect to find recommendations on where to find the best photo ops AND how you should plan your trip to maximize your one day in Bryce Canyon. 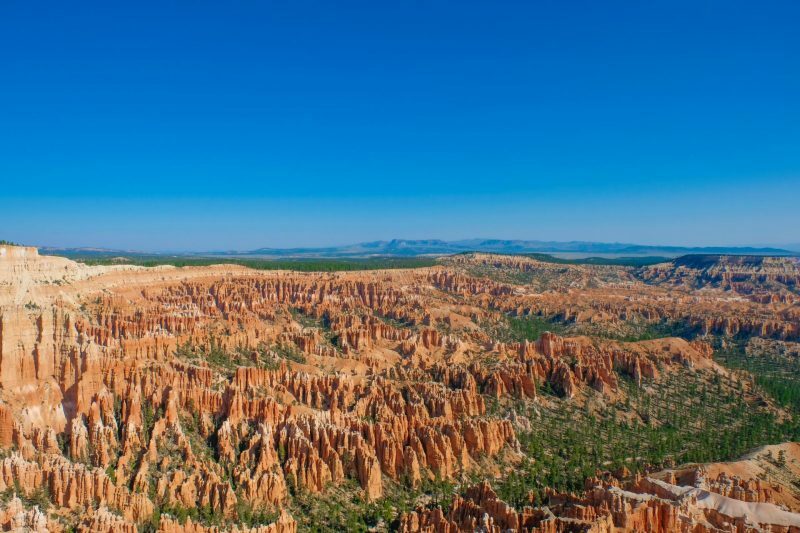 First and foremost, Bryce Canyon National Park is HUGE. It’s a scenic 18-mile drive from one end to the other (Visitor Center to Rainbow Point viewpoint) and you’ll see lots of cyclists who come here to challenge themselves. If you are pressed on time or not in the best shape to cycle 18 miles uphill, however, I definitely suggest you hit that gas pedal. Note that Zion National Park is relatively close to Bryce as well. We had a rough itinerary planned out and put Zion on our list if we had extra time. Apart from that, we didn’t route our trip or do any additional homework beforehand whatsoever. We relied on Google Maps and simply keyed in points from location to location. Since we departed from Vegas, Google actually led us through Zion National Park first. Here we were charged another $30 park entry fee for passing through Zion. If you’re planning to drive out from Vegas, just be aware that you’ll most likely need $60 in cash handy. At Bryce, there are roughly 15 viewpoints – all of which are are super close and less than a minute-walk from the parkades. 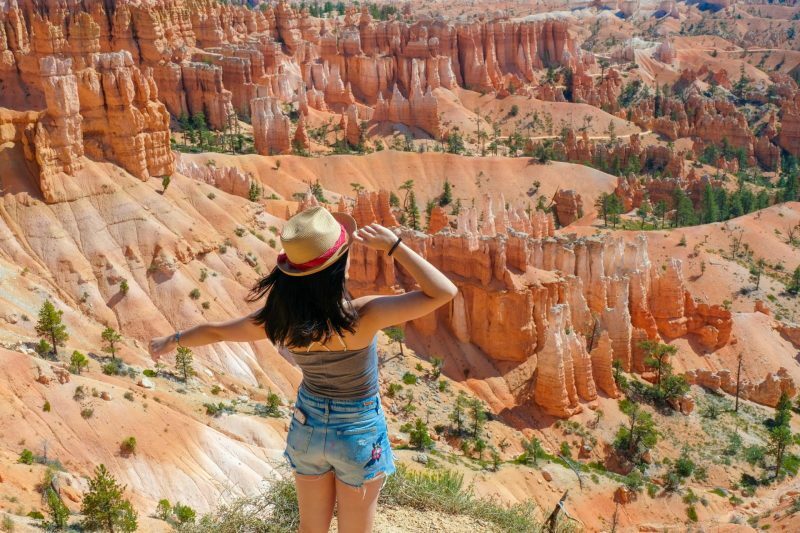 There are a lot of amazing hikes here but even without the trek, you can still enjoy phenomenal views of Bryce’s well-known hoodoos. We kicked off our adventure by visiting the closest viewpoints. 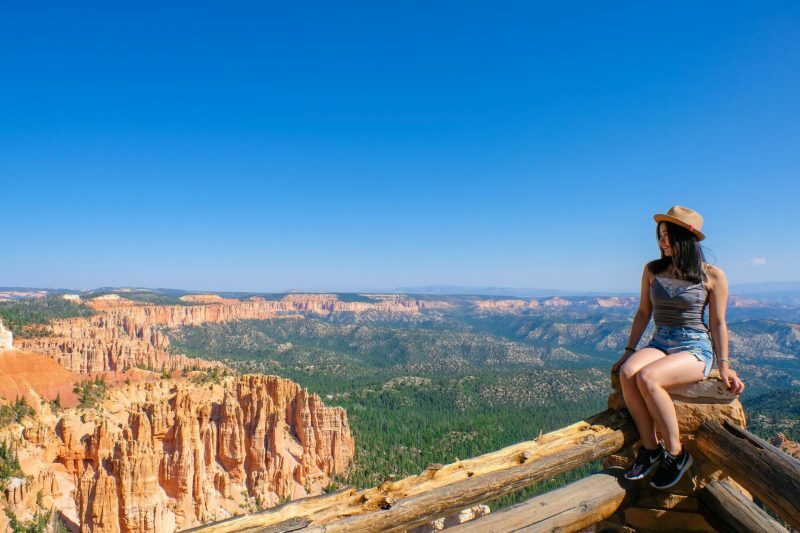 However, if you only have one day in Bryce Canyon, I highly recommend you to start at the furthest one and working your way back. I personally found the closer ones to be way more spectacular and astonishing. Frankly at the end of our drive, I was a little disappointed. Marked at mile 18, this is the furthest AND the highest elevated point exceeding 9,100ft. Here you get a very nice panoramic view of pretty much the entire park with the hoodoos and the forests. Another reason why starting here is a good idea. It gives you a much better understanding of the geography of the park. To the south of Rainbow Point is the Yovimpa viewpoint. I feel like because we were rushing, we only paid attention to the major viewpoints that we had read about online prior to our visit. Since we were super focused on Rainbow, we didn’t even see Yovimpa on the map. Having said that, if you wanna get a closer look of the Grand Staircase (a sequence of rock layers that look like steps of stairs), by all means, check it out and let me know your thoughts! 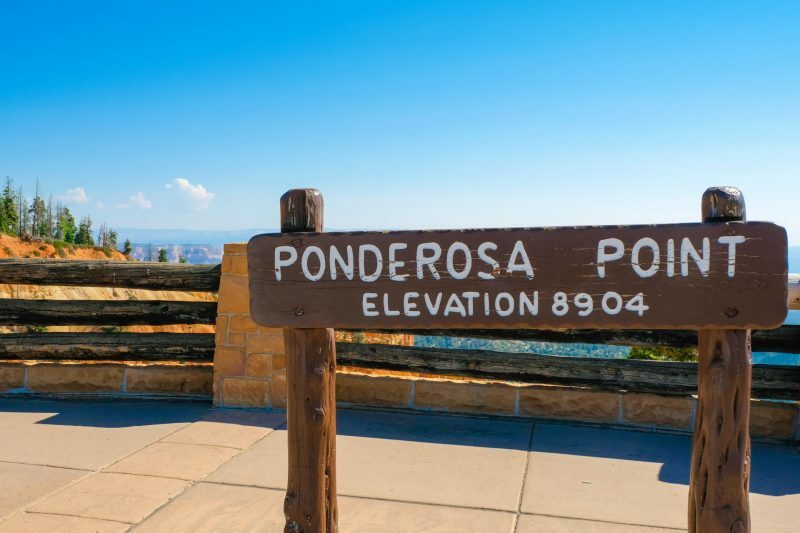 Ponderosa gets its name from the ponderosa pines that grow here on the canyon floor. This is where you can get another closeup look of the Grand Staircase but I wouldn’t say it’s a must. No, it’s not a bridge; it’s an arch. As misleading as the name is, this natural phenomenon completely took my breath away. The arch is sculpted from Claron Formation rocks and is a result of rock erosion by water. Rainwater, snow, even gravity all play a factor in shaping this unreal beauty. Thanks to my gorgeous friend Lily for letting me put her photos up here on the blog. 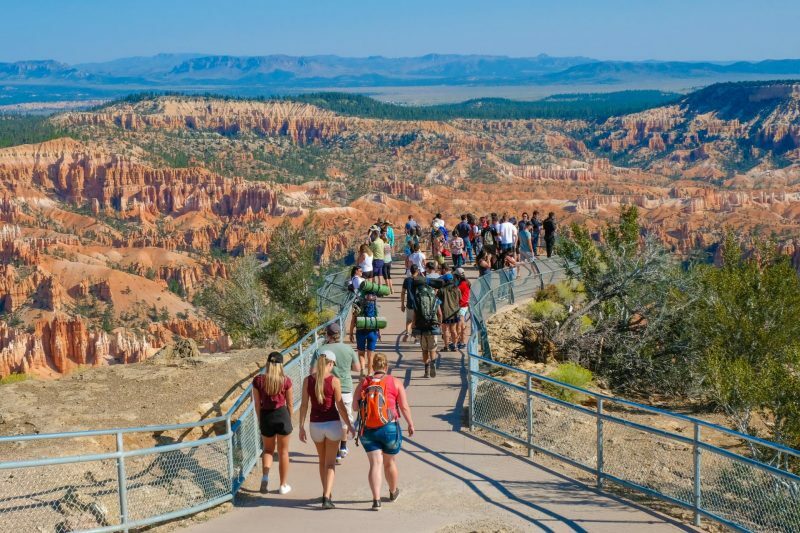 The Amphitheater Region encompasses five main viewpoints: Fairyland Point, Sunrise Point, Sunset Point, Inspiration Point, and Bryce Point. Inspiration Point was the very first one we visited. You’ll see in a bit what I mean by I was disappointed about visiting Rainbow Point last. Parking here was by far the most difficult to find and we waited a good 10-15 minutes. 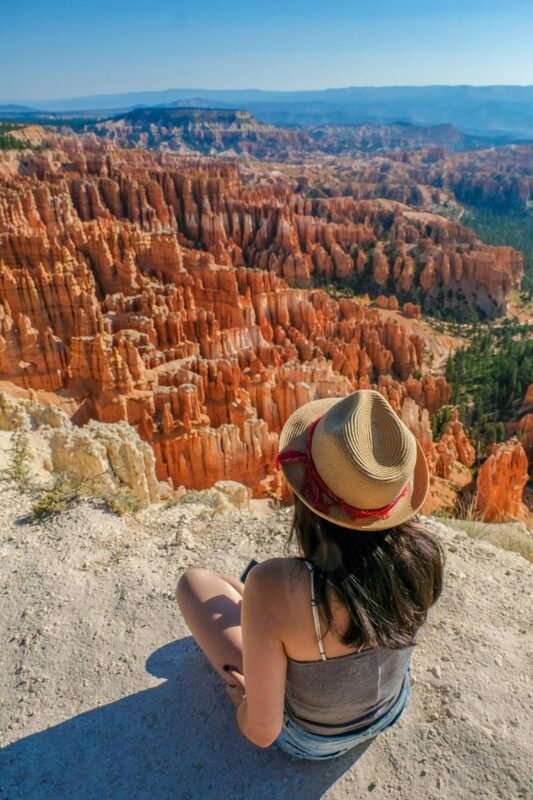 Although that is because this is easily the best spot to view the famous Bryce hoodoos. 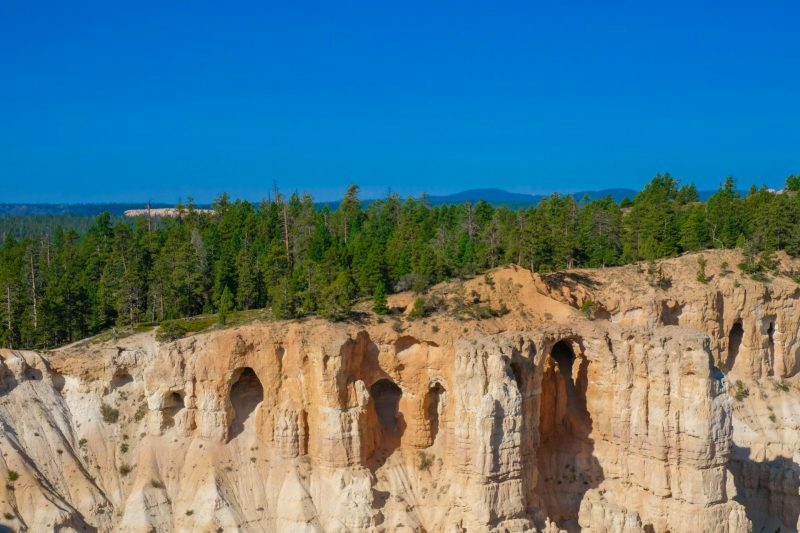 Hoodoos, by the way, are those tall, thin rocks that protrude from the bottom of the basin. They’re also called fairy chimneys and are truly magical. A new friend we made along the way. This is my absolute favorite viewpoint of them all. Not sure if it’s because this was where we first saw the magnificent hoodoos but I was just so taken aback and stunned and mesmerized by Mother Nature’s beautiful work of art that I fell madly in love with this surreal scene. There are three levels at Inspiration that overlook Boat Mesa. We unfortunately only stayed near the bottom because again, time constraints, but I highly recommend hiking a little higher up. The lower level views were already out of this world and I can’t begin to imagine how much more beautiful higher up would be! 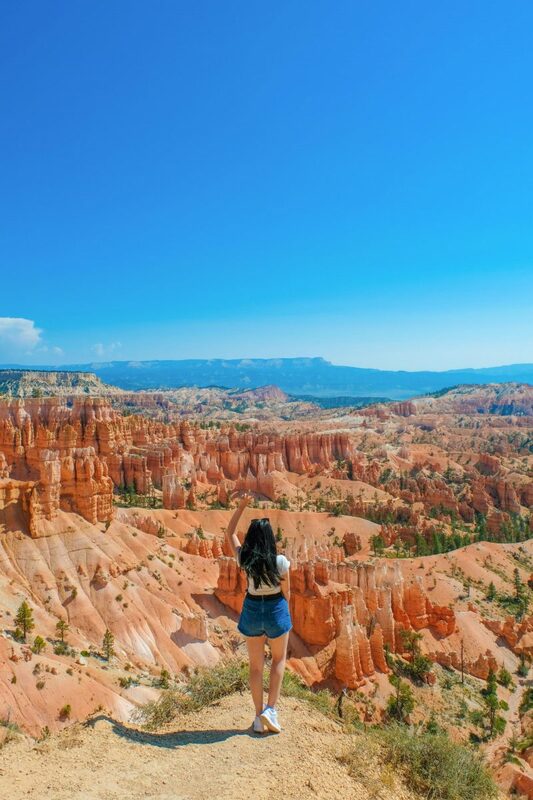 “From here you can watch the tops of hoodoos set alight as if by fire from the first rays of the rising sun.” – National Park Service. Last but not least, Bryce Point. 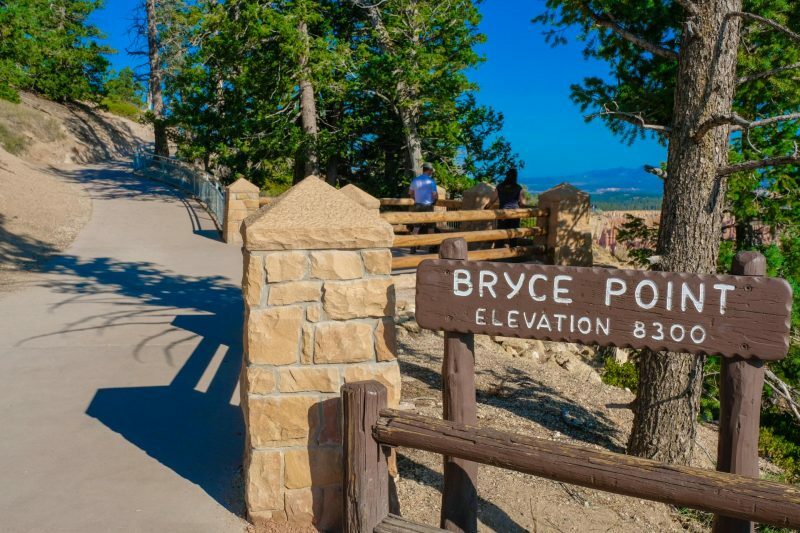 You can’t come to Bryce Canyon National Park and not visit Bryce Point. Bryce is actually known for sunrise viewings. Even if you can’t make it out here that early, the views are extraordinary no matter what time. It’s no wonder all the tour busses stop here. Definitely add it to your “things to see in Utah” bucket list. This is no doubt the best viewpoint to end your canyon adventure on. Just be mentally prepared for flocks of tourists though. Start your trip at the furthest viewpoint and work your way back to the Visitor Center. 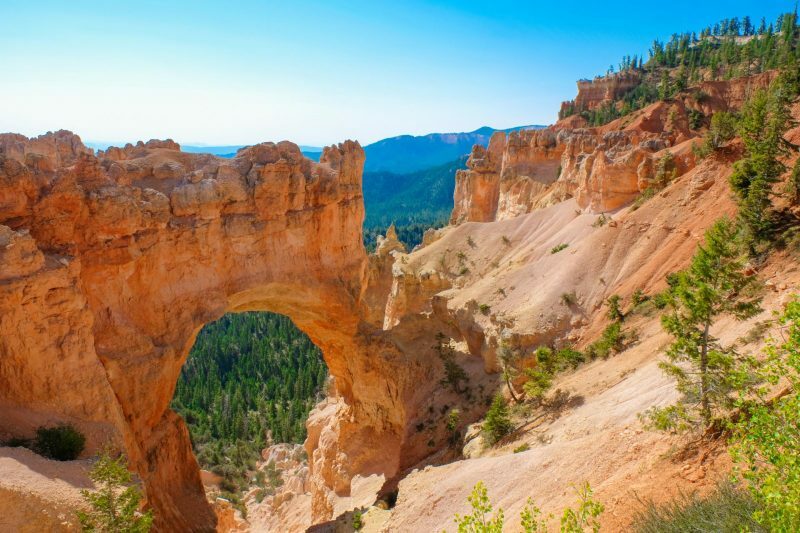 If you really really do not have time to spare, the absolute must-sees are Rainbow Point, Natural Bridge, and Inspiration Point. These are also my top suggestions for where to take the best photos. The reason why I say I got disappointed towards Rainbow Point is because I went in not knowing what to expect. After seeing Inspiration Point, I thought the whole park was hoodoos and hoodoos everywhere. Rainbow Point really is more of an overview of the park. Yes, the panoramic views are jaw-dropping but in my head I just imagined it to be an upgraded version of Inspiration Point. Something even more epic maybe even somewhere you get to see double rainbows… I don’t know. Either way this is exactly why I suggest starting your trip at Rainbow Point then working your way back towards the park entrance/exit. Bryce Canyon really is quite a wonder. If you have time to thoroughly explore each of the viewpoints or maybe even camp there overnight and enjoy the starry sky, that’s the best. I know I specified where I think the best views are, but please keep in mind that this is taking time constraint into account. We legit spent two hours here (including the time it took to drive to the different viewpoints). 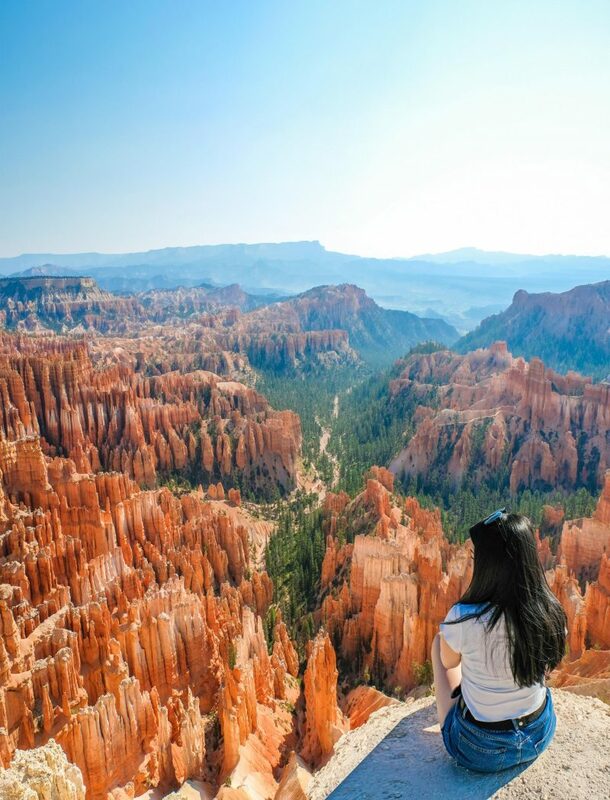 One day in Bryce Canyon is doable for sure but again, it’s that question of what you are willing to sacrifice and what you are okay not seeing. And there you have it, a quick guide to seeing one of the most popular tourist attractions in Utah. 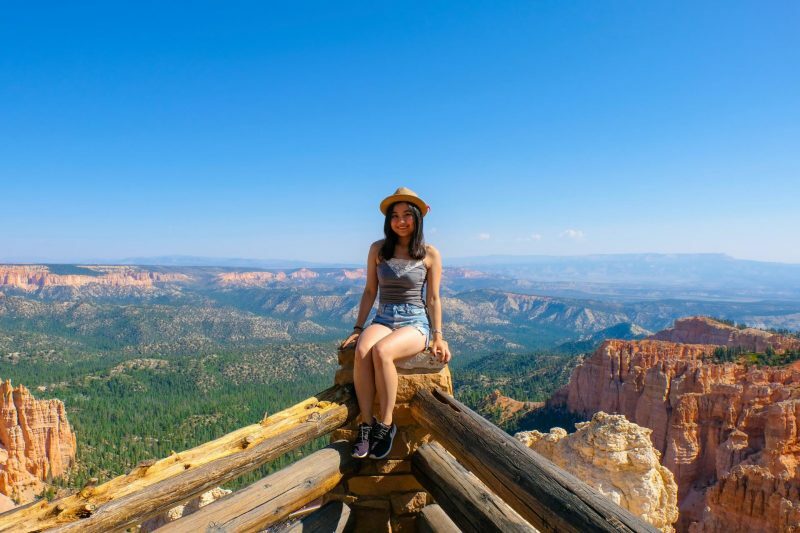 If you’re planning a road trip in the American Southwest region, be sure to read up on my other blog posts to better help you prepare! Next Post What You Need to Know About Horseshoe Bend + Antelope Canyon ❥ Why our trip was an epic fail. I was also expecting a bridge on the ‘natural bridge’. LOL. But it doesn’t really matter as the views are really amazing.. I agree that trying to seeing everything especially when you have limited time can be hard. 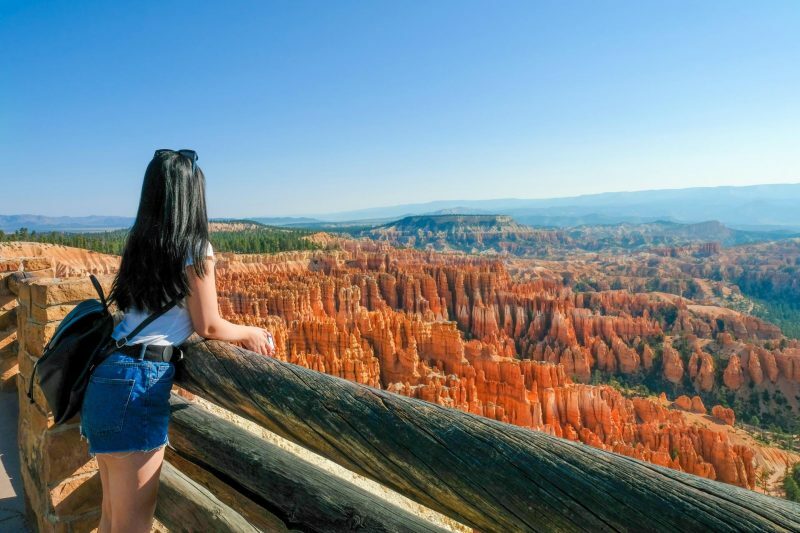 Your recommendations on the best places to see Bryce Canyon would really be of help to other people who would love to see it but lack the luxury of time. The views are so stunning and each pic has some story to say. It’s a very useful guide . Thank you for sharing. This is such a long and comprehensive post. 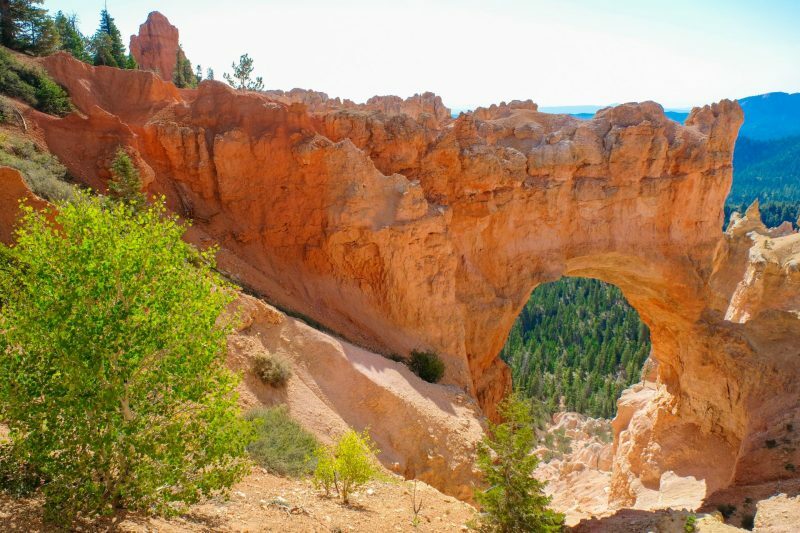 Bryce Canyon is a great place where I think is best to stay at least for one week. You showed us so many interesting places form here that I’d extend my two hours trip immediately. Thanks for sharing this place with us. Thanks for posting costs! I’m also a blogger with a 9-5 and take advantage of long weekends. Hoping to head out west soon and this looks amazing! Bryce canyon is one of my most fav spots in this world. I was there for the second time just a few weeks ago. Your lovely pictures just took me straight back. Can definitely see why it’d be a fave!! I was there beginning of September, maybe we ran into each other hahaa! 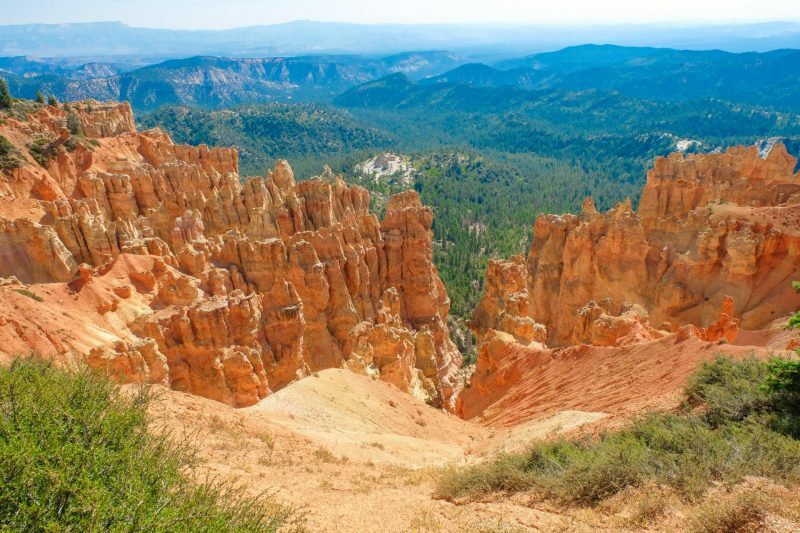 Absolutely gorgeous views of Bryce Canyon . That sunset point is worth to experince in such unique landscape! Appreciate Ur brief guide to this place and will follow it on my visit 🙂 Thanks alot..
You’re most welcome, Anushka! Glad you found my guide useful. Cheers! I’m truly mesmerised by the photos! Such stunning colours and views! Aww thank you so much for the kind compliments Chandrika! I love this. I’m in University and working part time, so similarly are cramming adventures in to some short time frames! Really appreciate guides that help do it. I’ve been to Vegas and we hiked Red Rock, but we didn’t go as far as Zion or Bryce Canyon. It looks stunning, and your pictures are amazing! Red Rock! Fun!!! And thanks so much Nina. I highly recommend a visit to both parks if you ever return for another trip to the American Southwest! This is great. 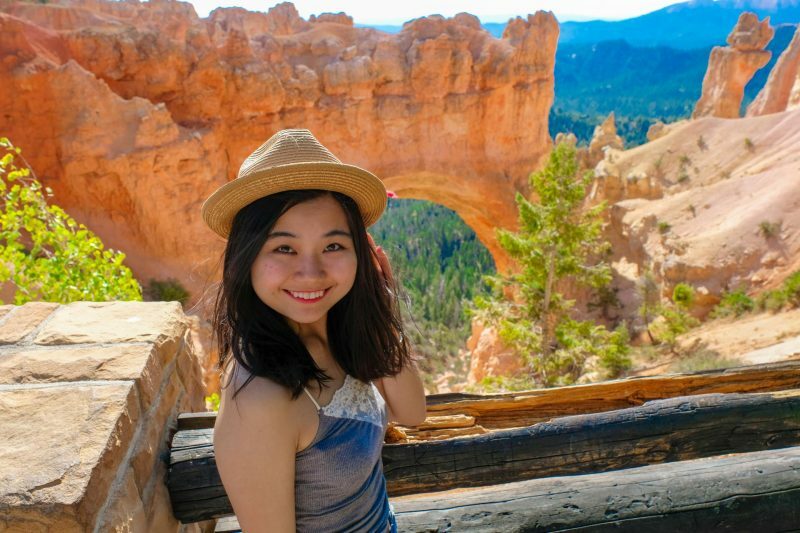 I was in Arizona earlier this month and had a chance to visit Antelope Canyon and now I have an interest in Bryce Canyon. I heard the hiking is phenomenal. 2 hours would be such a short span to uncover this beautiful gem- Bryce Canyon. I am astounded by the breathtaking pictures and cannot stop myself from googling more information on it. Would love to plan a visit soon! 2 hours definitely flew by fast but with so many things on our itinerary, I’m glad we still got through most of the main attractions even if it was rushed. Hope you’ll get to visit soon and let me know if you have any other questions! I never thought it possible you could ever see something as fabulous as Bryce Canyon in the space of just two hours. However, it was really interesting to read through your post and how you did it and of course to see such fabulous photos. This place is just amazing and somewhere I would love to visit and explore. These photos are gorgeous! I’m not super outdoorsy, so I love that you were able to see all this in 2 hours 🙂 Sounds like a great compromise if visiting with friends who want to explore nature. The outdoor enthusiast that I am, I keep looking for wonderful places such as this one. Bryce Canyon National Park is so breathtaking. It reminds me of some patch near Petra in Jordan. Ooooo I haven’t been to Petra just yet but it’s definitely on my list. 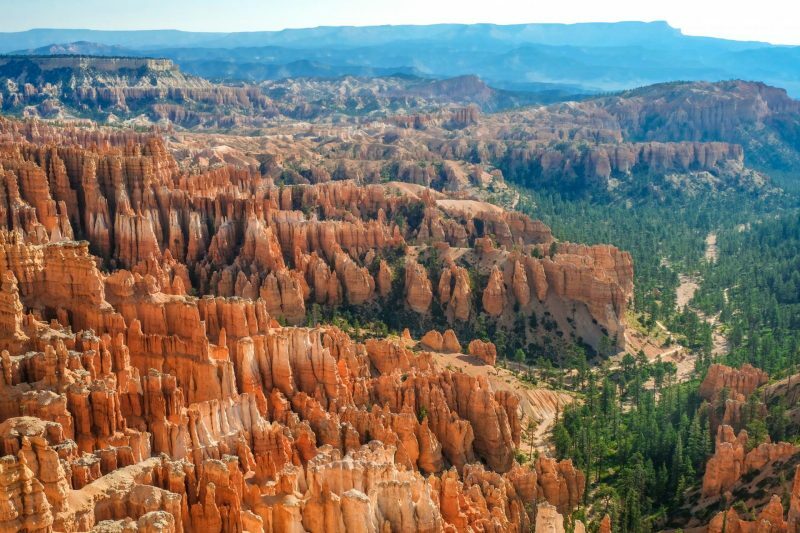 You’ll for sure have to check out Bryce Canyon then if you’re ever in the area. You’d love it there!!! 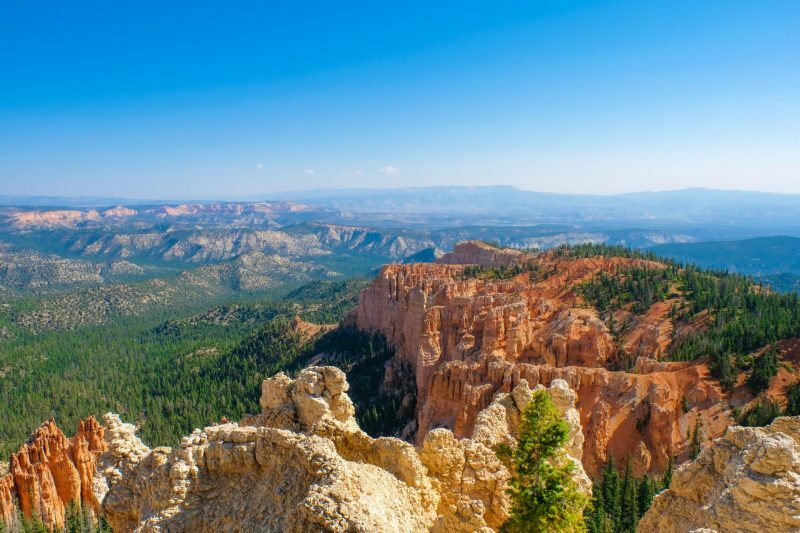 Holy wow Bryce Canon National Park looks absolutely incredible! I too work full time, so of course you need to find ways to maximise your travel. This is such a great comprehensive guide on how to do it when you don’t have much time, because I would have thought you would need at least a week to explore here. Your photos are truly breathtaking! Thanks so much Soraya! I mean a week here would just be ideal but for folks like us, I ain’t even mad if I get 2 hours here! Absolutely gorgeous. The rock formations are truly wonderful. We are avid hikers and mountaineers, and adventuring here would definitely be the idea of bliss and paradise for us. Glad you enjoyed my guide, Swati! Hope you’re having an awesome weekend so far!! 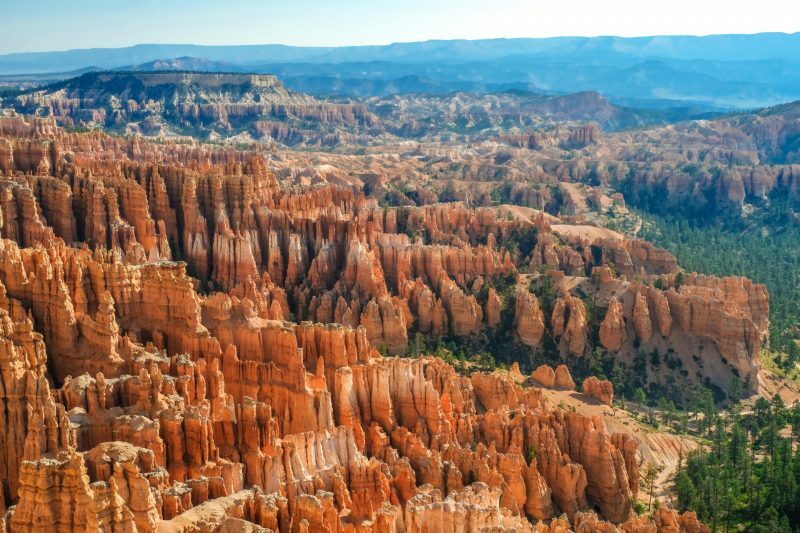 I haven’t heard about Bryce Canyon before. Your post is really comprehensive. I don’t feel left out anymore 😀 This is such a long and comprehensive post. You showed so many interesting pics I would love to go there some time soon. Your photos are absolutely incredible! I don’t know which one is my favourite. Natural Bridge is amazing, and I love the colours of the rock, so unique. I’ve never heard of Bruce Canyon National Park, but now I’d like to see it. 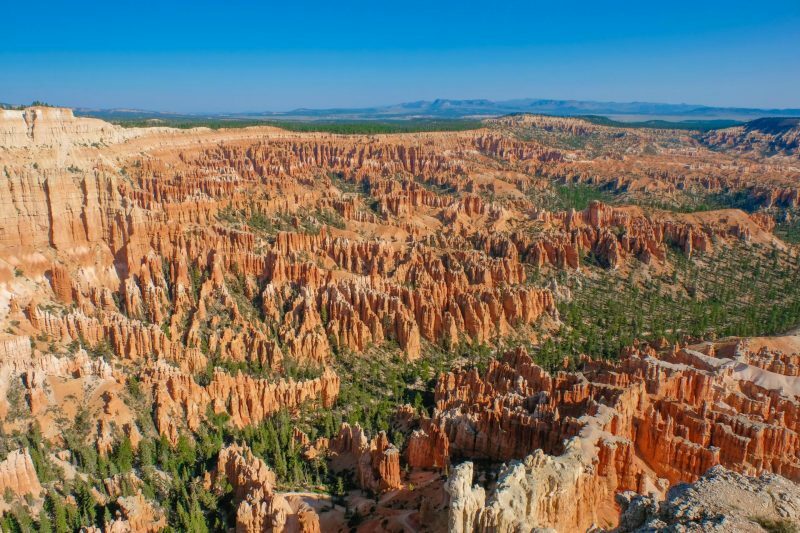 My mum was talking about visiting Bryce Canyon this morning and it’s a park I knew nothing about! It looks very organized with the viewpoints. That’s a useful tip about visiting the furthest point first. What are those different colored rocks in the video? They look very Instagrammable. Aww well you’ll definitely have to take her because I think you’d both love it there! And the rocks are Seven Magic Mountains in Las Vegas. It’d be a cool place to add to your road trip itinerary if you’re driving across the American Southwest! You take terrific photos! 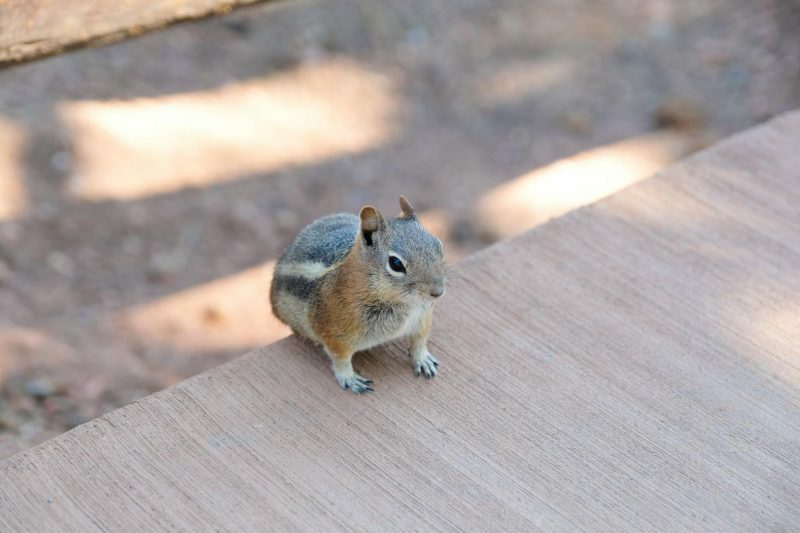 Love the cute little squirrel. 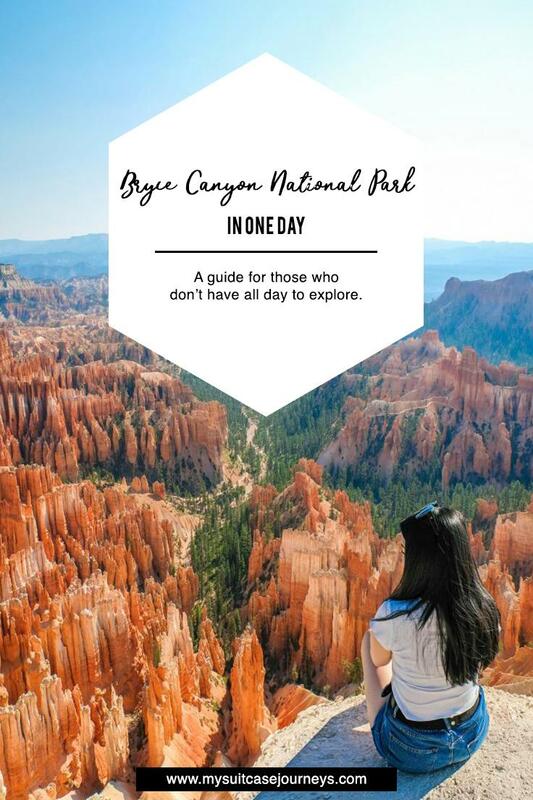 This is a great idea, to do a whirlwind-stop guide, I think a lot of people would skip seeing a national park if they only had a couple of hours but this shows that it’s worthwhile! It’s a shame you didn’t get to see sunrise but the views are still incredible. Maybe next time! Really loved the insights and overview you provided of Zion! It’s been on my list as a day trip from Vegas, but we just haven’t done it yet. No problem, Bruce! Hope you’ll get to it soon!!! Thank you sharing the breath taking photos. 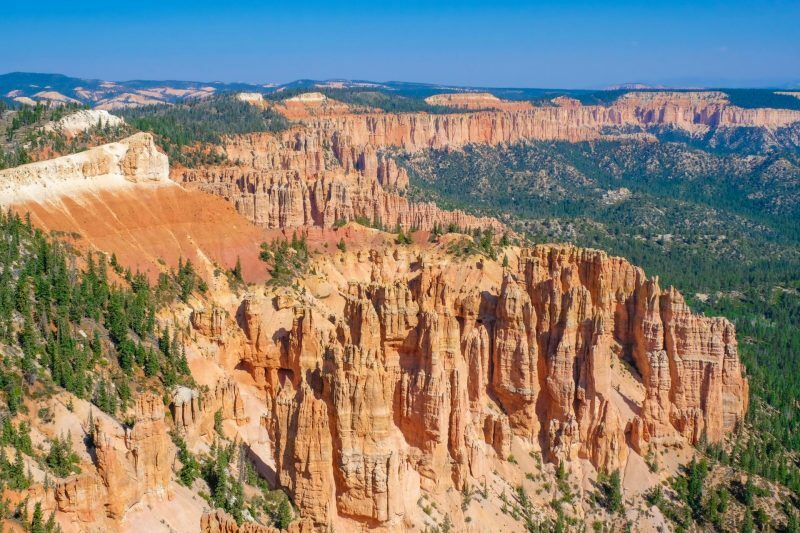 My father-in-law who is an amateur photographer took lots of photos of his recent trip to Bryce canyon and no offense to my father-in-law the photos you posted were so vivid and enchanting that they qualify as postcards. We can’t wait to take a trip out there and have book marked your site and post for planning our excursion out there. 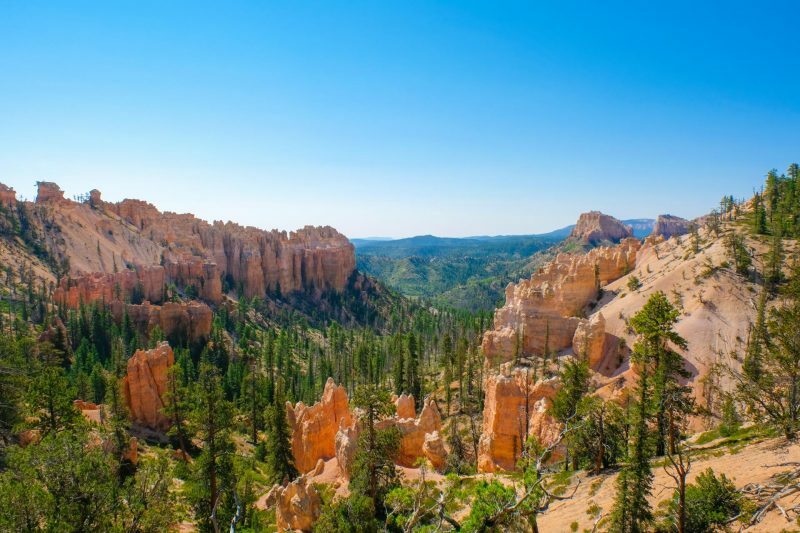 Bryce Canyon’s beauty is jaw dropping! Nature sure has a great way to carve awesome things like this. I wish I could be there and witness this myself. Hopefully, in my lifetime I will. AGREED! You definitely need to see this beauty in person. You’d for sure love it there!! 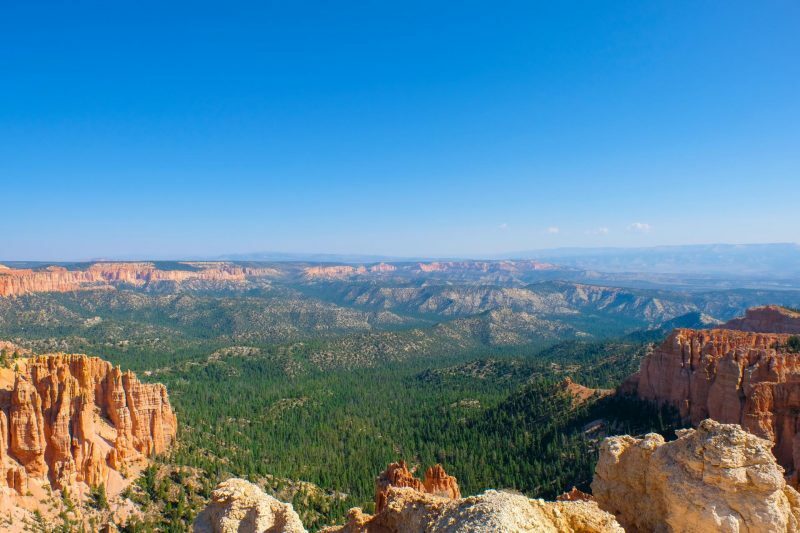 Beautiful is not enough to describe Bryce Canyons. I would love to get a chance to travel there and see it myself. However, I will definitely stay longer than 2 hours. I want to appreciate its beauty for as long as I can. Great post! it’s so informative and has some great tips for making the most out of the park – and the photos well they make me want to visit even more! Thanks Rachel! Hope you’ll get to it soon someday! I live so close to here and I still haven’t been! Looks soo gorgeous! Also I’m obsessed with your Instagram feed!! Aww thank you so much Felicia!!! You’re so lucky to be living so close omggggggg! If I were you, I’d make a trip down there every weekend hahaa. Yay my home state! This guide is so helpful and I love your photos! OMG, I totally love this post! I haven’t been to Bryce Canyons in, like, over 20 years! But i always dream about going back! I’m living vicariously through your post and photos – they are absolutely dreamy! 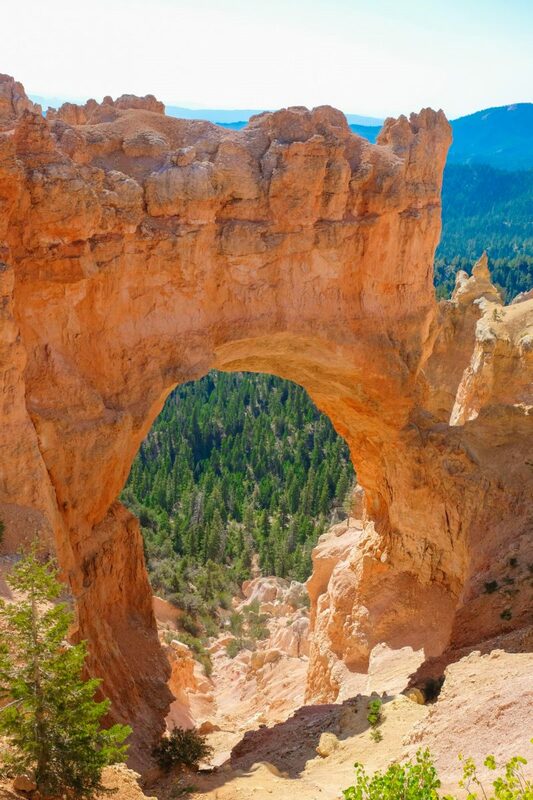 Those views are ridiculous and that natural bridge… so cool. I do hope to get to Bryce Canyons soon! Hahaa it’s crazy what Mother Nature is capable of, right!? It’s definitely bucket list worthy and I hope you’ll get to it someday!! So beautiful! I need to explore more of the USA, have only seen California, and only a little part of it anyway! This canyon looks amazing! Great information and the national park looks beautiful. Love the photos! I didn’t realise how many national parks there were in the US! I think I need to do a road trip one day to see some of them. Thanks Lexie, glad you found the guide useful! Definitely a surprise to hear Ponderosa would be your first point of interest but it is beautiful for sure and you’d definitely love it there. Hope you’ll get to visiting someday! Wow this looks amazing!! What a gorgeous natural beauty and you have a 9-5 like me yay! Such long weekend trips give life and are good for the soul especially nature ones. Absolutely stunning views there. Kinda reminded me of Wadi Rum in Jordan. Google and see the comparison. Both truly nature’s work of art! Just did and wow! Seems like I gotta add that to my bucket list now! Love the photos. So beautiful. This place is totally instagram worthy. Looks like some martian land. What gorgeous photos! I went to Bryce a few years ago, but in the winter. So the drive was only open to the Natural Bridge, so I have to get back soon! Great tip starting at the end first. I love doing a drive to get an overview before I set off on hikes! It must’ve been beautiful I bet! You’ll definitely need to make a revisit back and hopefully me as well in the colder days because I’d love to see those hoodoos covered in snow! Firstly I must commend you on the great photography displayed throughout the post. 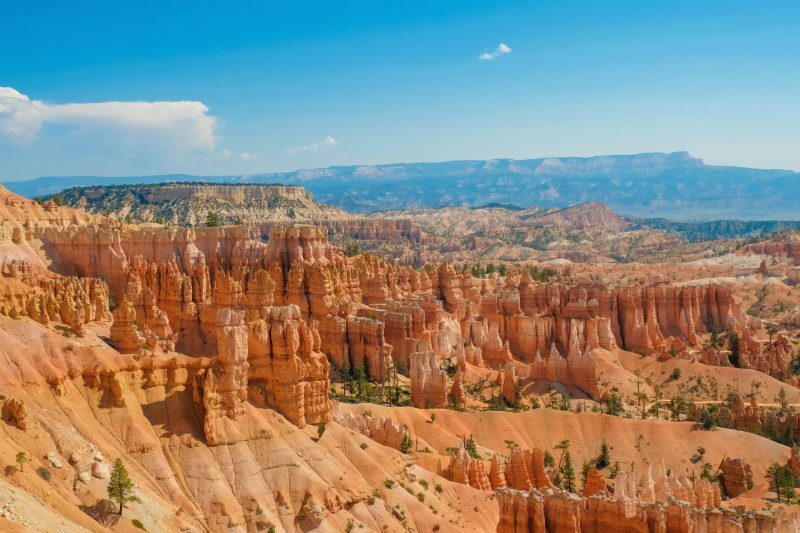 Bryce Canyon is surely an excellent destination but these photographs really made it come alive. And thanks a lot for gathering all the useful details about the place that will help all the future adventurers. Thank you so much for the kind words, Jitaditya!!! Hope you enjoyed the guide and happy weekend! 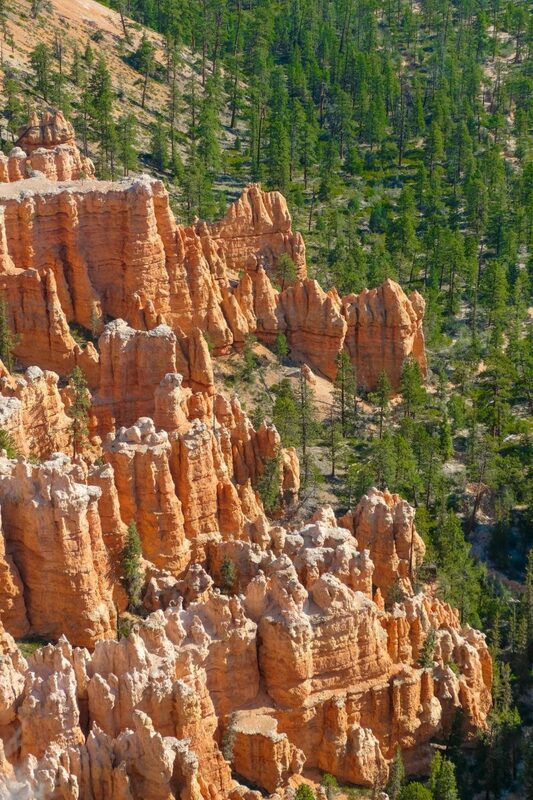 Bryce Canyon is on my USA bucketlist. Thanks for sharing your tips about your Rainbow Point. I have to say when i saw the first photo, I though ‘How would it be possible to see all this in a couple of hours’? See it you did though, and got some great photos in the process. What an incredible landscape! For an extra $20 bucks you could have gotten a national park pass and then had free entrance to all the national parks for a year. The pass pretty much pays for itself within 3 national parks. You did a lot in two hours. I love Bryce. It is such an amazing park. It is so fantastic to go hiking and just spend a couple of days exploring. 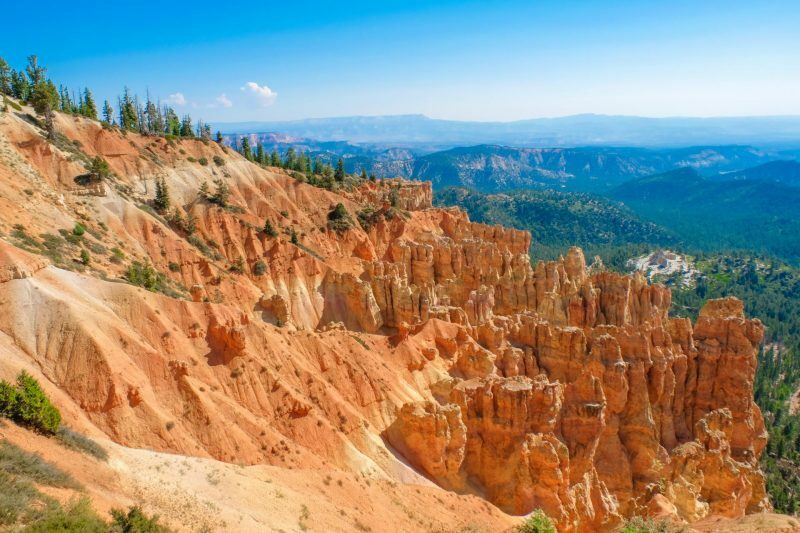 Bryce National Park looks like a veritable treasure trove of attractions. I always am awed by the National Parks of the US. Each one of them seems to be better than the other. 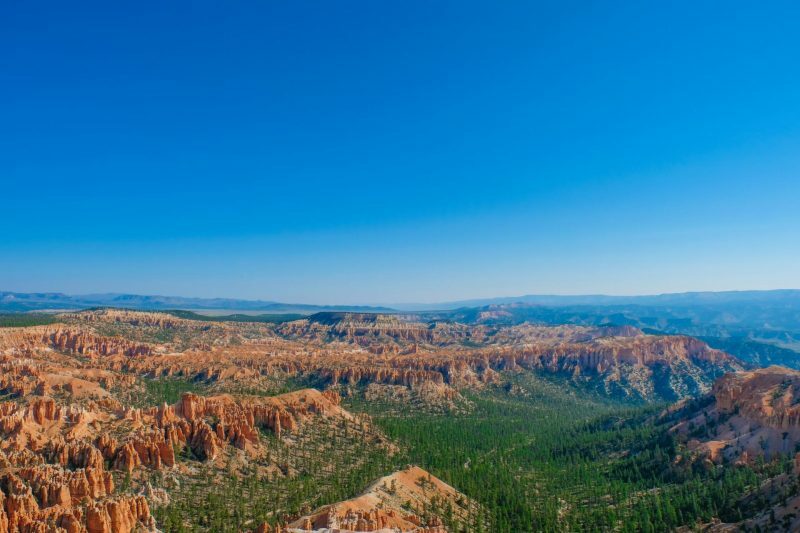 I can see that the Bryce National Park is a truly dazzling gem. It has an enchanting and wild beauty that is so endearing. You and me both. And I absolutely loved the way you described it! Sounds like you should be writing my posts for me hahahaa. Cheers Sandy, enjoy your week ahead! I don’t know how you decided which photos to post, because everyone of those here are absolutely stunning! 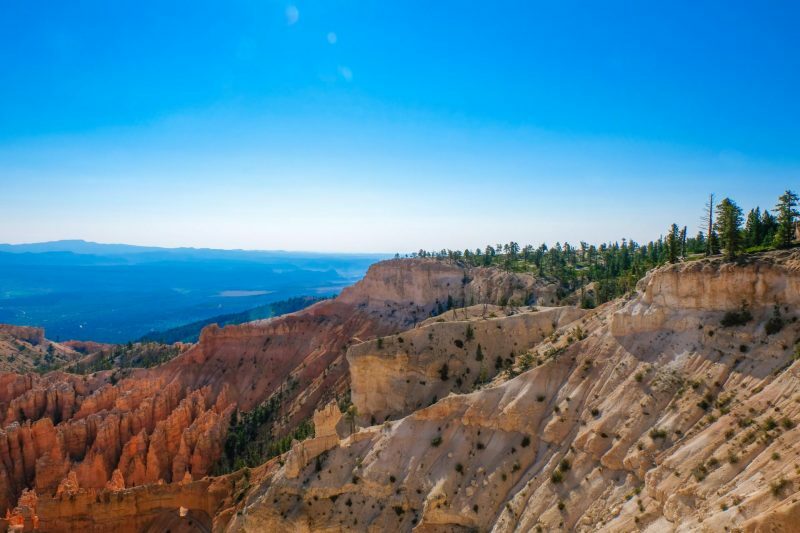 Bryce Canyon is a truly unique and amazing place to go. I love the rock formations, the red color, and the contrast with the blue sky! Great that you don’t necessarily have to commit to a whole day to see it.